Dr. Stedal is a clinical psychologist and senior researcher at the Regional Department for Eating Disorders (RASP). Dr. Stedal completed her training as a clinical psychologist from the University of Copenhagen and is an authorized psychologist through the Norwegian Register for Health Personnel. 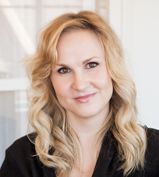 Dr. Stedal received her PhD in Psychology from the University of Oslo in 2012. Areas of research include the cognitive neuropsychology and neurobiological function of patients with anorexia nervosa. Dr. Stedal is currently exploring the feasibility of a new treatment model titled Temperament Based Treatment with Supports (TBT-S), in collaboration with the University of California San Diego.